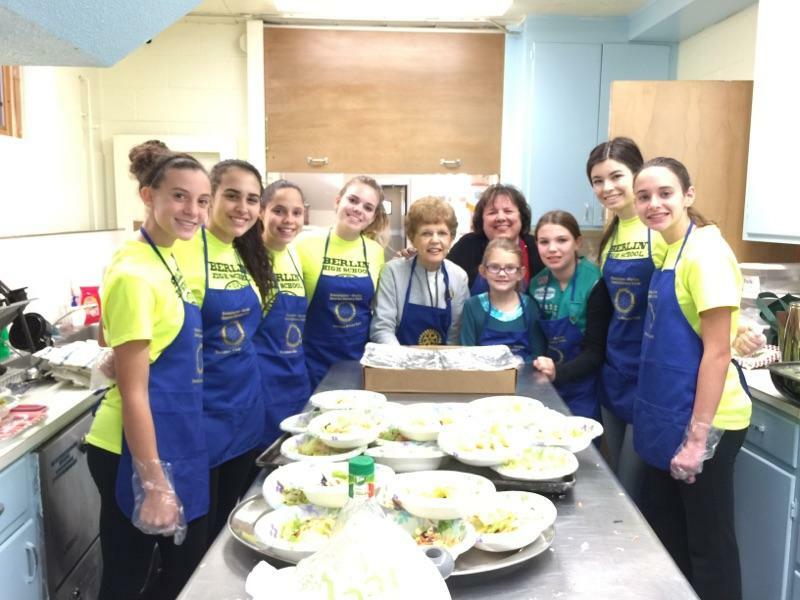 The Kensington-Berlin Rotary Club along with the Berlin High Interact Club served Chili, Wings Salad and Dessert for 50 people at New Britain Salvation Army "Out of the Cold Luncheon at 78 Franklin Square on Super Bowl Sunday. The wings and chili were a big hit! Thank you Ferndale Market Fresh of Berlin for donating the wings and all the volunteers who helped prepare and serve the food!